As a brand deeply involved in Charity for many years, FREDERIQUE CONSTANT is delighted to present Oscar-winning actress and philanthropist Gwyneth Paltrow as its new global Charity Brand Ambassador. Her natural and classical beauty, inspirational involvement in Charity and undisputable charisma make her the perfect match for our independent and family-owned Swiss watch brand. Since 2004, Frederique Constant has engaged in supporting causes, with $50 donated for each watch sold from the Ladies Collection to various charities. These charities include those related to the heart, children and women. 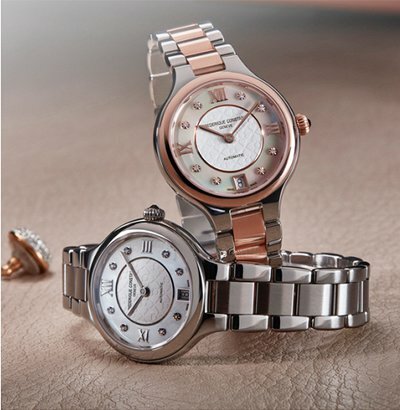 FREDERIQUE CONSTANT’s slogan is „Live your passion“, and the brand does. Passion definitely shows through its craftsmanship, as well as its engagement toward charity causes. Oscar-winning actress Gwyneth Paltrow is one of the Hollywood’s most philanthropic women, making a significant difference in her chosen causes every day. With her incredible philanthropic work and her personal commitment to fostering change, Gwyneth Paltrow becomes the new global Charity Ambassadress of FREDERIQUE CONSTANT on March 1st, 2016, directly supporting the educational projects of the „DonorsChoose“ organization, involved in supporting education for children. The brand new Charity advertising campaign, shot by famous Tom Munro, directing GWYNETH PALTROW in a positive and joyful expression, promoting and inviting people to support the DonorsChoose. „I am very proud to be Ambassador of the Frederique Constant Charity campaign. I think Frederique Constant is a wonderful company and we are well aligned in our passion for Charity and giving back. It’s amazing to be able to work with a company with a strong value system,“ said GWYNETH PALTROW. The new Frederique Constant Delight Collection has been designed with the perfect combination of elegance, form, and slenderness, its irresistible cocktail representing the apex in feminine style. From the wonderfully slim case, to the slender hands, everything about this design underlines the Frederique Constant philosophy of accessible luxury.